Martha's Trouble will be performing live in concert, in conjunction with Royal Botanical Gardens, to raise funds for "Tim's Tribute" in memory of Tim Bosma. They will be performing many of their recordings, including "Prayer For the Broken Heart", the tribute song written in memory of Tim. Proceeds from the concert, as well as all sales of the song "Prayer For the Broken Heart" will be donated to "Tim's Tribute", a charity set up by Sharlene Bosma to offer financial assistance to victims of homicide. Some of the most influential and well-respected music critics of our time have paid tribute to Martha's Trouble. The duo, comprised of founding band/soul mates Jen and Rob Slocumb have been listed and featured in Billboard Magazine, USA Today, AOL Music, XM Satellite Radio and Performing Songwriter. Their songs have received awards and have been featured in made-for-TV movies shown to national audiences. The concert is an open air concert beginning at 7:00 pm and will include full access to the grounds and gardens at Royal Botanical Gardens. 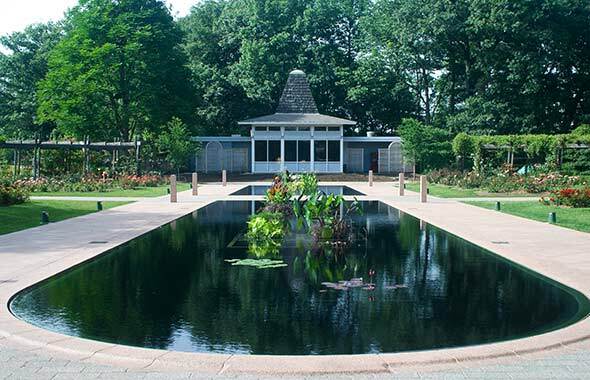 Come early to enjoy the peace and tranquility of Canada's largest botanical garden. Royal Botanical Gardens (RBG) is headquartered in Burlington and includes lands in Hamilton, Ontario. It is one of the major tourist attractions between Niagara Falls and Toronto, as well as a significant local and regional horticultural, education, conservation, and scientific resource. On July 31 ,2006, Royal Botanical Gardens was selected as the National Focal Point for the Global strategy for plant conservation (GSPC) by Environment Canada. Food and beverages will be available for purchase at Royal Botanical Gardens during the event. Established seating will be available under cover directly in front of the stage for approximately 175 guests, however up to 1250 can be accommodated in the garden setting. General admission guests are encouraged to bring their own lawn seating. Please be advised that no alcohol will be permitted to be brought into Royal Botanical Gardens.